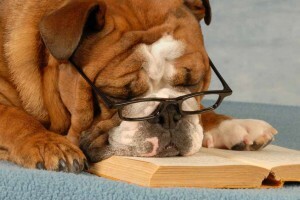 I love to read, but hadn’t done much of it in years until 2012. Right before New Year’s 2012, I saw this free, printable, super-cool Organize Your Life and Goals PDF Workbook from Michele at GetOrganizedWizard.com, and went through it. In this book, Michele suggests making a Reading Plan. I had been really wanting to read more, so I made a plan. And suddenly I was cranking again with my favorite hobby! I wrote (by hand) a list of the books I had and wanted to read. I kept the list in my planner and checked each one off as I read it. Seeing the progress I had made motivated me, and being able to check another one off the list REALLY motivated me! This is the autobiography of Reinhard Bonnke, the great evangelist to Africa. I bought this book on December 31st, 2011; picked it up New Year’s Day; and couldn’t put it down until I finished it 3 days later. This is 630 pages of power-packed stories about how God is fulfilling His promise that “All Africa shall be saved!” If you want to have a passion for souls; if you want to move in signs and wonders and healings; if you want to preach the Gospel… read this book. It will rock your world. This is a book of Finney’s greatest sermons on revival and prayer. It revolutionized the way I pray. Finney was an attorney before he became a preacher, and it shows in his preaching. Every point is laid out with the utmost logic. Every point flows perfectly to the next point. You can’t read this book and not be changed. Finney explains in detail how to pray and get your prayers answered with a “YES” 100% of the time by praying in sympathy with God’s heart. If you want to know how to pray, read this book. If you want to see more prayers answered, read this book. ‘Nuff said. If you have ever lost a home or a parent–whether to death or to dysfunction–you are susceptible to the orphan spirit. 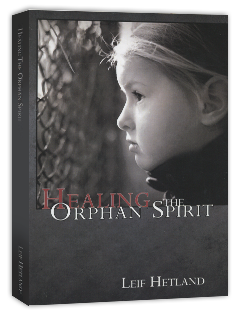 The orphan spirit isn’t something that is cast out, but rather a wound in your heart that is healed. This book brought so much healing to my heart. It taught me that my home is my Father God. Read this book to feel like God’s true son/daughter, or to receive healing from father issues. This book is written by Michael Hyatt, the former CEO of Thomas Nelson Publishers, and a blogger with a huge blog/social media following. 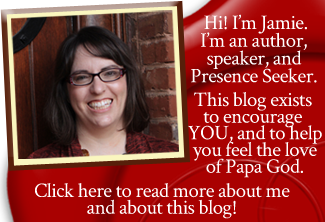 It’s all about how to build a blog and a social media platform so that your voice can be heard in today’s marketplace. This book is a must if you are an entrepreneur, a speaker, an author, or a leader of any kind… or if you want to become any of those things. It’s full of practical tips that you can implement in just a few minutes each. He doesn’t hold back his material to try to make you buy something else; he lays a roadmap out for you as plain as day. I loved it and will be implementing his suggestions as quickly as I can. Mark Batterson wrote two of the books I read this year: The Circle Maker and Draw the Circle. I loved them both. They both changed my life. I liked Draw the Circle even better than The Circle Maker, but I highly recommend you read The Circle Maker first. The Circle Maker teaches you how to pray big prayers and dream big dreams: prayers and dreams that are worthy of God. Draw the Circle takes you even deeper into miracle ground, teaching you how, through prayer, you can experience God like never before. Mark Batterson is positively prophetic. He was reading my mail in both books, especially in Draw the Circle. These are easily two of the most life-changing books you will ever read. I suggest that you run, not walk, to buy them. If you could only read one book the rest of your life–just one, other than the Bible–it should be this one. See my review here. This book, written by one of my heroes, will propel you into the manifest presence of God. You will get a whole new outlook on life, and your faith will be strengthened like never before. Why? Because this book is all about the attributes of God. It covers who God is, one characteristic at a time, as much as He has revealed Himself to man. You will find yourself having to stop reading so you can lay on your face awhile and cry before a holy, loving, righteous God. I can’t say it enough: READ THIS BOOK. My worship pastor gave a copy of this book to everybody in our church choir and orchestra this year. This is an awesome book, written by a veteran worship leader, choir director, and composer. It’s all about how you can be a worship-leading church choir member instead of a performing church choir singer. It contains some great discipleship and teaching tips. I recommend reading it if you’re involved in church music at all. “Unrelenting Prayer” is based on Jesus’ parable about the widow who pestered the unjust judge, crying “Get me justice from my adversary!” Jesus’ point was that, if the unjust judge will finally avenge the widow, how much more will our righteous Father avenge us and answer our prayers? This is a great book about prayer. It emphasizes continuing in prayer and not giving up. It was very inspiring. This is an awesome, go-to manual for anyone who wants to get started hearing God and living FROM His presence. It’s also a great manual for anyone who wants to go deeper with God. It contains very practical tips and teaching about hearing God and walking in the supernatural. I HIGHLY recommend this book for every believer in Christ. This is a 21-day devotional about starting to live a generous lifestyle. It’s chock-full of inspiring stories and great teaching. If you want to start living a generous life and aren’t sure how, this is a very practical guide that will give you a Biblical model as well. This book is a different look at the parable of the two lost sons (commonly called the parable of the prodigal son). Keller talks about both boys as being lost and away from the Father’s heart of love. This is a great book, but read Healing the Orphan Spirit first. The Prodigal God didn’t really make sense to me until after I read Healing the Orphan Spirit and understood that Father God is my home. Tozer, always one of my favorites, didn’t disappoint in this book. I picked it up because I was going through a particularly trying time and I needed an attitude adjustment. This book really encouraged me to stay full of faith in God, despite the tough circumstances I was experiencing. A great read. 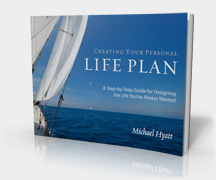 This ebook is available as a free download when you subscribe to Michael Hyatt’s blog about intentional leadership. The book helps you identify your priorities and teaches you how to put action steps behind your vision. It has great forms at the end you can fill out on your own. I really like books about time management and goal-setting, and I liked this one a lot. Even though this book is free, it’s as good or better than a book you would pay for. Definitely worth checking out. In this book, Dutch Sheets shares some very astute thoughts about how America needs spiritual pioneers to rise up. It’s a very timely message, and I recommend it. 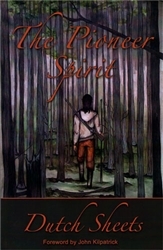 However, you should listen to Ray Hughes’ mp3 teaching series on The Spirit of a Pioneer before reading it. (The Ray Hughes teachings will blow you away if you’re a pioneer, since Ray Hughes will tell you all about yourself in ways you never understood). The Ray Hughes teaching will give you a better background for this book by Dutch Sheets. I read this book as part of one of my last seminary classes. I love history and I love the church, so I really value this book. It is very long–505 pages–but it’s worth it if you seriously want to understand the church of Jesus Christ and its growth since Jesus ordained it. This book also introduced me to a lot of heroes of faith that I had never studied before–e.g. John Hus–and it gave me a new perspective particularly on the Roman Catholic Church. Did you know that the “Catholic” church used to be the only church? The word “Catholic” just means “universal”; so that is what the entire Body of Christ around the world was called: the Catholic church. Very interesting. This book is a keeper.